BACKGROUND: I’m currently a sixth grader residing in Ohio. My parents are physicians (internal medicine and radiology), and I have noticed that my dad, who is a hospitalist, spends at least two hours a night on the computer at home working on electronic medical records (EMRs). I wondered if this happens with other doctors and their families and decided to make this the subject of my science fair project. 1. 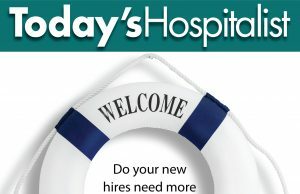 How many hours per day on average do you spend working at home from a computer on your EHR/EMR? 2. If you could go back in time/college when you were studying medicine, would you pick a different job? 3. Do you feel like doing work at home negatively influences how much time you actually spend with your family? 4. On a scale of 1-5, 5 being the best, how would you rank your quality of life as a physician in the electronic age? 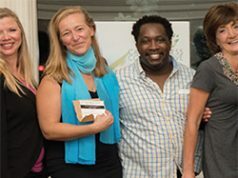 Volunteers were asked if they would participate in a study about physician quality of life. The survey was e-mailed to my parents’ colleagues and, because I am not on social media, my mom posted the survey on social media groups specifically for physicians. I collected the raw data on Google Forms, and IRB exemption was obtained. RESULTS: A total of 1,030 physicians responded. The majority of physicians spent time at home on an EMR, with 28.9% spending one hour, 27.7% spending two hours, 10% spending three hours, and 8.5% spending four hours or more on average per night. 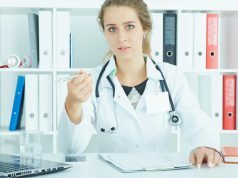 That left 20.5% reporting that they spend 0 hours at home on an EMR (comments indicated they are in specialties that don’t require charting, like radiology and pathology) and 4.4% gave open-ended responses. Further, 75% of physicians felt that EMR work done at home had a negative impact on the quality of family life. While 40.6% of physicians would still choose medicine as a career, 31.7% would not and 27.6% were unsure if they would change careers. Most physicians rated their quality of life as 3 out of 5. CONCLUSIONS: My study is limited by selection and response bias. But the large number of respondents shows me that my family is not the only one struggling with “work after work.” I’m interested in medicine but I also want to have time for my hobbies such as photography. I feel this project has changed my perspective on my parents, their jobs and medicine. It is important that middle and high school students are aware of the challenges and stress of this career path. 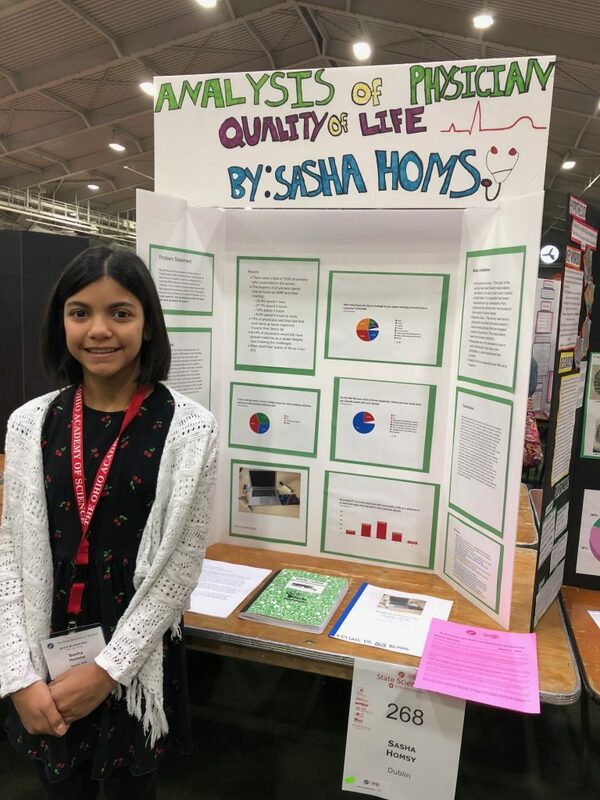 Sasha Homsy is a sixth grade student in Dublin, Ohio. She is interested in a career in medicine, and her hobbies include clarinet, guitar and photography. 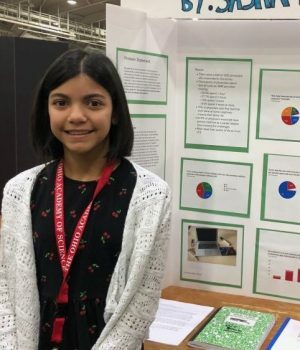 This work represents the science fair project Ms. Homsy presented at The Ohio Academy of Science State Science Day in May 2018. 2. The Advisory Board [Internet]. Washington DC. Doctors spend 27% of the workday with patients, study finds. 3. Surveygizmo.com [Internet]. Best practices: understanding and reducing bias in your surveys.